William Klein presented a logical argument for his view of corporate election. Whether one agrees with Klein or not, I believe he did a great job in laying out his case. His argument was clear, concise, and thorough. The author wrote in such a way that made his book a somewhat pleasant read. Even if a reader were to be adamantly against what Klein presents, I believe the book was written in such a way that it presents the author's view in a clear, logical manner. 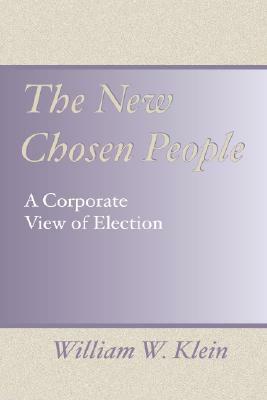 It is a good book for anyone wishing to know about corporate election and how such a view is developed. It provides for some great thinking material that reached beyond a mere reading of the book. Despite completely disagreeing with the view of election presented here by William Klein, I was deeply impressed with the degree of scholarship with which he wrote. This is probably the most consistently Biblical treatment of a non-Reformed view of election. I can't say enough to praise Klein's tone and his rigorous sholarahip. That said, I believe that Klein has missed the mark. His premise is that Biblical election is always corporate and never individual. Beginning with the Old Testament, he systematically goes through passages where God says that he has sovereignly chosen, and then shows how in each case the election is corporate. If he had only framed this corporate election in terms of covenant he would have found much common ground in the Reformed camp. As it is (lacking a covenantal framework) his theological presuppositions led him to confuse two very different types of election: those who are elected into a covenant body to be a covenant people (Old Testament Israel) and those who were truly elect unto salvation (the remnant within the chosen nation of Israel). Without covenant as his starting point, Klein was left to view election monolithically. In the end, even if Klein succeeded in demonstrating that salvific election is corporate, he is still left with one glaringly big problem: corporate bodies are always composed of individuals. This means that even a corporate view of election is, at its most basic level, individual election into a corporate body. Thus nothing is solved by claiming that election is corporate because it too necessitates individual election.I am encouraged to see an Arminian brother thinking in terms of covenant. This has been missing from their theology since Wesley and they would do well to reclaim Wesley's emphasis on covenant and integrate it back into their theology. I decided to not read the rest of this book. It will be a good resource in the future. But, the more I have read the less convinced I have become of the validity of his position. On some passages he sheds light and offers a somewhat correcting view. More often than not I feel as if I am reading exegetical fallacies over and over again. Word studies are helpful, but not in shifting a whole paradigm. His treatment of the OT was useful dealing with election to roles, but it doesn't engage deal strongly enough with the dissonance in election which is introduced in the NT. Perhaps I'll come back to this book next summer. I first about this book while reading Clark Pinnock's contribution in Five Perspectives on Election (edited by Chad Owen Brand). William W. Klein - Dr. William W. Klein is professor of New Testament at Denver Seminary and serves as Chair of the Division of Biblical Studies. He earned the Ph.D. degree from the University of Aberdeen in Scotland, the M.Div. degree from Denver Seminary, and a B.S. degree from Wheaton College.Dr. Klein has written articles for several biblical dictionaries and encyclopedias and has published chapters or essays in several books and Festschrifts. His articles and reviews can be found in major journals as well as popular magazines.He edited and was the major contributor to An Introduction to Biblical Interpretation, wrote the commentary on Ephesians in the revised Expositor's Bible Commentary, and has consulted on several recent Bible versions, serving as chief exegetical consultant for the New Testament portion of The Message.